California produces just 1 percent of atmospheric carbon emissions, yet global leaders and activists care about California regulations. Why is this? It’s the same reason that California politicos insist on our unique climate regulations. Governors and legislators–here and globally–count on California’s leadership to translate into solutions applicable around the world. If it can work in California, then maybe it can transform global climate policy. Govs. Jerry Brown and Arnold Schwarzenegger staked their climate policies on the belief that a cost-effective and gradual approach will not upset consumers, destabilize markets or shock voters, but will reduce greenhouse gases released to the atmosphere consistent with projected recommendations for global carbon emission reductions. This has been the guiding principle of California’s go-it-alone approach. Otherwise, we are simply volunteering our economy and lifestyles for underperformance and discomfort. The Legislature memorialized this approach in 2017 when it adopted the cap-and-trade system as the state’s central approach to greenhouse gas regulation, rejecting specific command-and-control mandates. Right policy, but the Legislature will spend the taxes generated by cap-and-trade on programs that may or may not affect taxpayers’ daily lives. Rather than allowing regulators to hide the true costs from the public by rolling cap-and-trade taxes into fuel and utility bills, the Legislature should review the goals and impacts of cap-and-trade, and how the increased revenue from motorists and ratepayers will be spent. For example, the Legislature insisted that cap-and-trade include a price ceiling to prevent shocks to consumers and the loss of economic activity from California to other states. Setting the price ceiling is tricky because it requires balancing the state’s interests in containing costs for businesses and households with the certainty of reaching targeted greenhouse gas emission levels. Nonetheless, the Air Resources Board has adopted an aggressive regulation, baking in higher consumer and industry costs in the hope of squeezing out more emission reductions. This approach not only flouts the express will of the Legislature, but undermines the moral authority for engaging in state-level greenhouse gas regulation. Instead of benchmarking a price ceiling and letting it rise with inflation, the California Air Resources Board has proposed compounding each annual increase by another 5 percent. The effect would be that by 2030, the price ceiling would increase by an additional 60 percent. The difference in 2018 dollars is a 2030 price ceiling of about $100 per ton of greenhouse emissions, compared to $60 without this adder. A $40 difference is the equivalent of a 36-cent increase in a gallon of gasoline and double-digit increases in natural gas and electricity rates. These increases are on top of the costs already assumed under an unadorned cap-and-trade regime, which already anticipates, by 2030, adding more than 50 cents a gallon to gasoline, and hiking utility bills by more than 25 percent. These will create unavoidable costs to all Californians, especially residents who must commute long distances for work or school, and Californians who live in the interior of the state where temperatures are more extreme. As usual, low-income Californians will pay a larger portion of their income for higher energy prices. Economic researchers have found that higher compliance costs for industry are directly proportional to higher emission allowance prices. This means that the incentive to move economic activity (and emissions) outside of California will increase along with allowance prices. Limiting allowance prices will limit the flight of jobs and excess emissions. Cap-and-trade is clearly the superior policy choice to control carbon emissions, costing a third to a half as much as command-and-control policies. But how state officials implement this new pricing regime matters. It isn’t leadership if nobody follows. 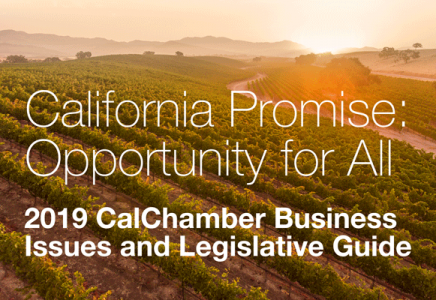 Air regulators and their masters in the legislative and executive branches cannot inspire international replication of these ideas unless they design regulations to contain costs, enhance competition, and minimize pain to ordinary Californians. 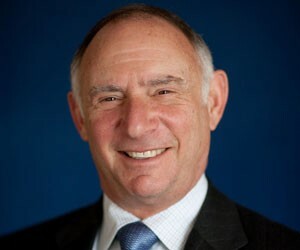 Allan Zaremberg is president and chief executive officer of the California Chamber of Commerce, az@calchamber.com. He wrote this commentary for CALmatters.